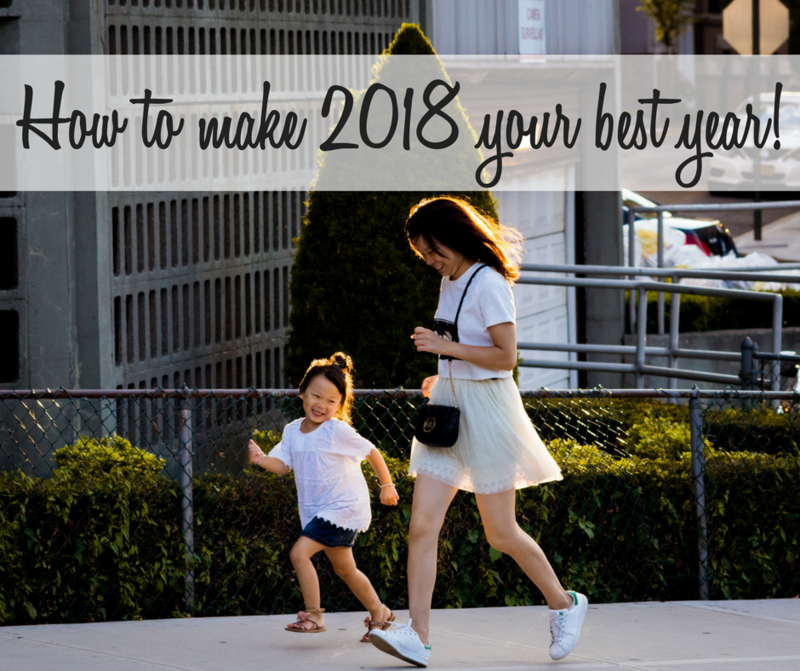 How to make 2018 your best year! Do you want to have more money, more freedom and a better life this time next year? My life has never gone ‘according to plan’ but I love where I’m at. Despite being in court over child custody, not having the net worth I planned and not travelling as much as I hoped, life is good. If you’ve had a tough run, it might be hard to believe next year could be any better or that there is any point in trying. In my view, if you don’t try, nothing will change. Life is not perfect and there is never a perfect time to do something. In the past 5 years I’ve left an abusive marriage, been robbed of everything including my underwear, raped by someone I trusted and ended up homeless with my two young daughters. At the beginning of this, my daughters were diagnosed with severe learning disabilities requiring extensive treatment. Now, one is confirmed to have Autism Spectrum Disorder along with a few other things and my other daughter needs to be assessed. I overcame borderline personality disorder, paralysis – twice, a cancer issue (specifically the one my mother died from), multiple surgeries and recuring level 10 pain. Level 10 pain is where the pain is so intense you pass out. Childbirth is a level 8. Yet, during this time I also won multiple awards including 3 Plutus awards, I was a finalist for Young Australian of the Year, founded a company, bought and sold more websites, worked with national and international governments as well as charities and small business. I have achieved more in the past 5 years than I ever thought possible and it is because of my obstacles, not despite them. So how do you make next year your best year? Before you set your goals for the new year or make any plans, do a quick review of 2017. This can be as simple as asking yourself a few questions and writing down the answers. What worked for you and what didn’t? Did you have any challenges? How did you overcome them? List out the things that you’d class as wins as well as the things you would tweak or improve for next time. In 2017 I set some lofty goals, faced some intense challenges and overall, learnt a lot about myself. Early in 2017, I set the goal to make an extra $20,000 by buying stuff to resell. I achieved this quite quickly and shared how I did it here. While I loved the challenge, enjoyed finding things and made good money I won’t be continuing it in 2018. We will be travelling more which makes it impractical. Mid 2017 I became paralysed with severe pain again. After some tests, a visit to the hospital, neurologist and specialist, I was told it was permanent. This news devastated me at first, but I refused to accept it. After a few weeks on nerve blockers and painkillers, I tried some other methods so within a few weeks I was off them and back to healthy. Late 2017 I set a 12 week healthy, wealthy and wise goal where I was focussing on my health, finances and reading books I have been meaning to read. Overall, I did reasonably well. Reading the books and increasing my income was easier for me than the weight. My commitment is not as strong regarding my health as I want it to be or thought it was. This challenge taught me a lot about how I think and react which is priceless. My final goal for 2017 was a $250 grocery challenge. I was relying mostly on HelloFresh and food we had. I did really well the first few weeks, then was in a hospital for 4 days (all fine, it was for some testing) then we had 3 bad HelloFresh boxes in a row, so it didn’t work. It had the potential to work, I have done it before (because I had to when we were homeless and broke). Review your year. Write down what you did well, what you could have done better, things you learnt and consider how you can implement changes to make next year better. – What are the positives that can come from this? – What lesson do I need to learn from this? – How can I turn this into an opportunity? Apply these questions to any obstacle in your life from now on. I learned I need to slow down, say no more and take care of myself. Surgery was required again early this year, then ending up paralysed made me take a long, hard look at my life. I am extremely clear about what I want. My biggest lesson for 2017 was the fact I do too much for others and worry too much about what others think. Or at least, I did. That realisation prompted quite a few changes in my business and life. Work on other projects ceased when I had this realisation. It was like a punch to the guts which caused me to stop, reflect and really evaluate my life. I was running on empty and needed to pull back, take time out and do what I wanted to do for a while. Often we set ambitious goals then fall short or we focus only on the outcome, not the habit changes we need to ensure we achieve what we set out to do. Look at your past year and work out which habits prevented you from achieving what you wanted and how you can change that. Staying up too late, wasting money on deliveries, not planning ahead, worrying too much about what people think and procrastination are habits I will break this year. I have already started making changes so it is not a ‘New Year’s Resolution’ which is likely to be broken. Knowing some of these bad habits stem from fear, I decided to push myself outside my comfort zone this year and have enrolled in things I have wanted to do for some time as well as planning in courses. Without writing your goals out and making them specific, measurable, attainable, realistic and time-bound, they are unlikely to happen. Every year for the past 5 years I have been saying I will do Uluru and the Great Barrier Reef, then it never happens. Burlesque has been on my list of things to learn yet I didn’t make it happen. Simple travel goals, a dance class and similar might not seem like much, but when the desire has been there for such a long time, the only thing holding me back is me. the goals for my family revolve around our health, getting the best help I can for my daughters, continuing family night and family trips. I won’t share the specifics of my family goals. I shared 3 finance goals on Instagram. 1.) $30,000 for child custody. Our custody battle has been bumped to a higher court, resulting in the need for barristers and it will be quite expensive. My plan is to make and save an extra $30,000 for this so it does not impact my current financial situation. 2.) $10,000 for home stuff. Ideally, I will get a new lounge suite which I love, new beds for my kids, a dryer, sewing machine and a few other bits and pieces. The $10,000 is a nice, round amount to aim for, though I will likely come under budget. A dream bedroom for each of my daughters set up how they want, a loungeroom we love and my dream bedroom are high on my list of wants. 3.) Double my net worth. Each Wednesday I do a financial net worth checkup. I listed my assets and liabilities in a spreadsheet. The value is placed in a column each week to see how I am going and make it easy to compare. I am close to my ideal weight/body shape and size. 2018 will see me continue with keto/low carb and yoga while adding in more swimming, gym sessions, pilates and my dance class. A white Christmas (or at least a Christmas somewhere new), a trip to Uluru and the Great Barrier Reef are planned for this year. Christmas depends on court, the other two are in the works. The year of new. Instead of letting fear hold me back, this year I am doing a list of things which are new to me, things I have been afraid to try or do but are interesting. I won’t share them all. It won’t happen if you don’t plan for it. Once you know your goals and habits, schedule it into your calendar, including when you will check in or what you need to do. My burlesque class starts on January 23rd. Uluru is possibly happening in April (I’m watching the sales) and I am working out my plan for making the money for court. The local pool has a gym and is scheduled for 9:30am daily now. All the planning in the world won’t help you if you don’t take action. Knowing what you want, scheduling it in and having good intentions won’t actually make it happen. Go out and DO IT! In 2018, I will be reading at least one book a month and have selected or purchased most of them. I am open to suggestions though! Family, health, education and pursuing my interests are important this year. April is when I turn 33, which isn’t old, but I am conscious of wanting to live the life I really want. Custody and medical issues have held me back the past few years. While court is still happening this year, it isn’t as heavy a weight. How are you making 2018 your best year yet?